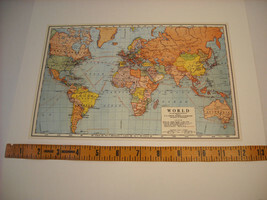 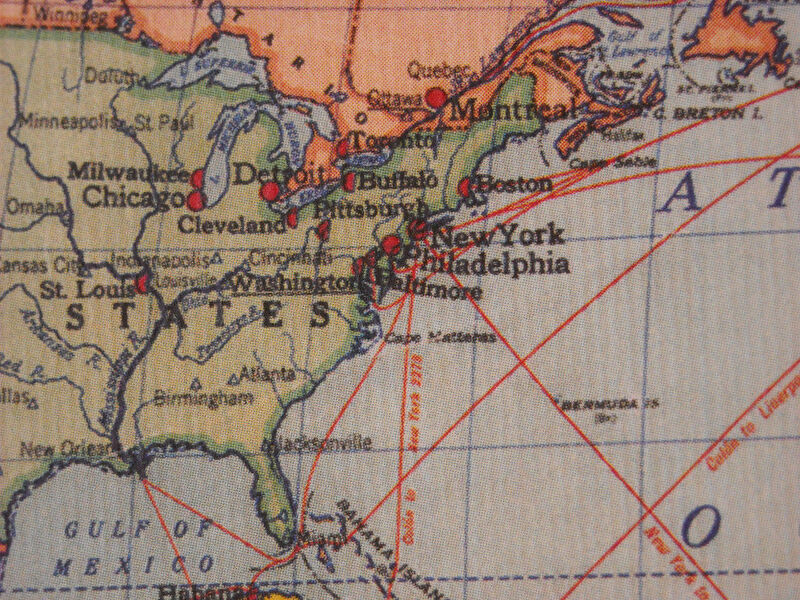 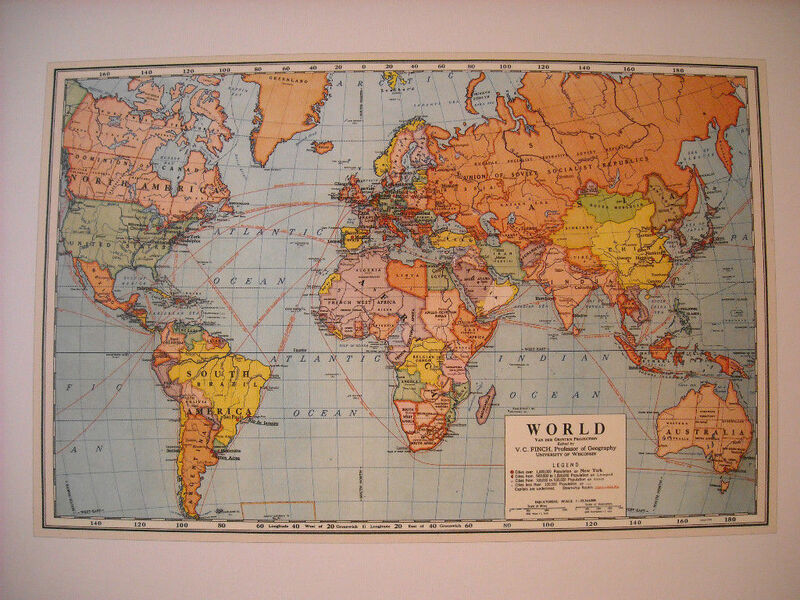 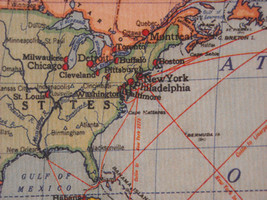 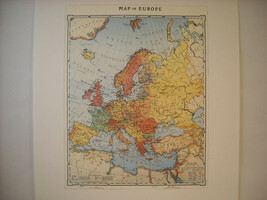 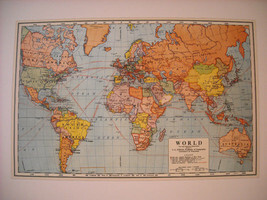 This is a listing for a Reproduction of a Vintage Map of the world. 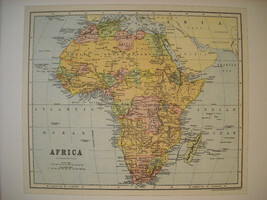 The map has each country in a different color with Africa in the center. 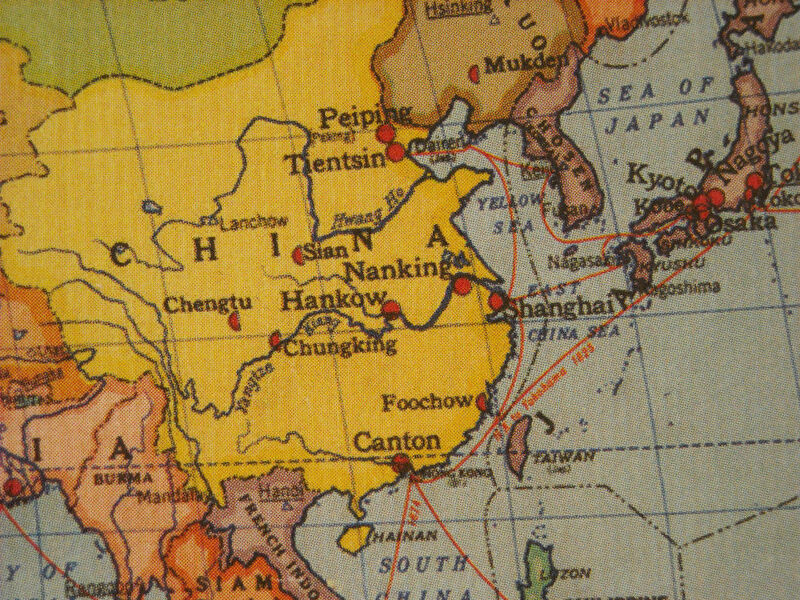 This map was edited by V.C. 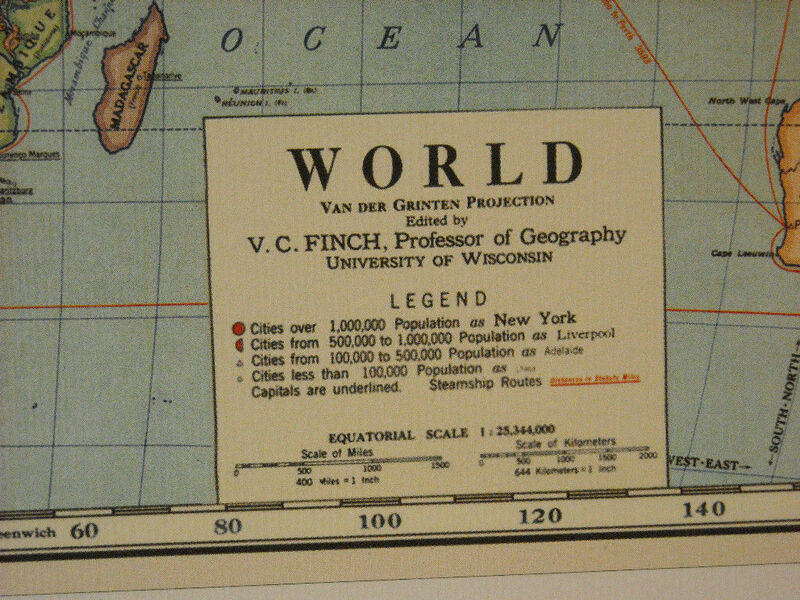 Finch who is a Geography Professor at the University of Wisconsin. 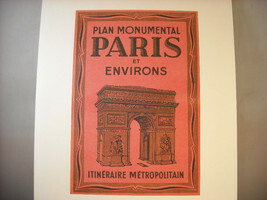 It is a colorful reproduction print on nice textured paper. 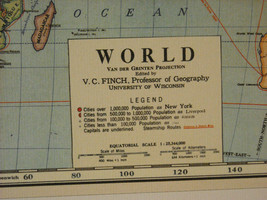 The page size is 13 1/2" x 18 3/4". The image size is 7 1/4" x 11".